Everybody deserves to feel comfortable and cute when they sweat it out, right? We know that most activewear companies are missing the boat by eliminating plus sizes. Thankfully, these six brands have awesome plus-size workout clothing that work with your body, not against it. 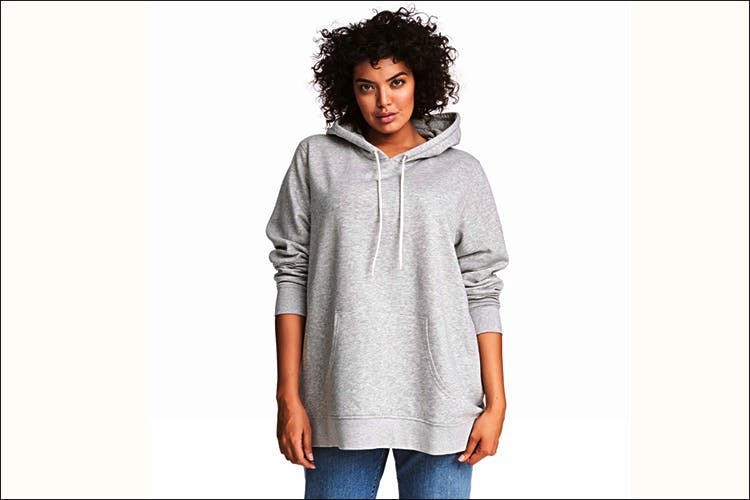 Yup, everyone’s favourite H&M has plus size clothes that double up as activewear. Pick from their printed sweatshirts, pull-on trousers, sports bras, joggers and hoodies, and you can put together a look that goes from workout to hangout effortlessly. Working out doesn’t mean you have to sacrifice your sense of style. And M&S doesn’t disappoint when it comes to fashionable and high-quality plus-size activewear. Pair one of their patterned leggings with the matching track vest or even their solid tanks. The possibilities are endless! Comfortable and cute? Yes, please! Get solid joggers and slogan capris at Westside’s activewear range Westsport Active for your basic gym needs. We’re totally in love with their printed gym tees. Plus, if you’re looking for budget sportswear, this is right up your lane. Along with basic track pants and solid tees, Pluss Clothing has a unique sizing system. Their size 1 is a standard size XL and size 2 is XXL and so on. While we can’t say much about the patterns and colours, if you head to Pluss for some everyday activewear, you can’t go wrong. Performance, fit, and fashion is the magic formula of Next clothing. With their classy zip joggers, graphic hoodies, sports leggings, track tops and even teeny tiny sweat shorts, never again will you have to buy clothes that you’ll hate mid-workout later! Whimsical prints, wrap sweaters, and studio leggings, Lucy Women has everything you need. Lucy is an international brand exclusively for activewear. We are really liking their fitted tanks with halter straps.